Jablonski, D., O.V. Kukushkin, A. Avci, S. Bunyatova, Y. Kumlutas, C. Ilgaz, E. Polyakova, K. Shiryaev, B. Tuniyev & D. Jandzik. 2019. The biogeography of Elaphe sauromates (Pallas, 1814), with a description of a new rat snake species. PeerJ: accepted. Jablonski, D. & R. A. Sadek. 2019. The species identity and biogeography of Blanus (Amphisbaenia: Blanidae) in Lebanon. Zoology in the Middle East: accepted. Jablonski, D. & A. Bragin. 2019. First record of Platyceps rhodorachis (Jan in de Filippi, 1865) from the Alay Mountains, southern Kyrgyzstan. Herpetozoa: accepted. Jablonski, D. & E. Tzoras. 2019. Pelophylax kurtmuelleri (Balkan Water Frog) and Pelophylax epeiroticus (Epirus Water Frog). Defensive behavior. Herpetological Review: accepted. Agarwal, I., D. Jablonski & A.M. Bauer. 2019. The identity and probable origin of the Hemidactylus geckos of the Maldives. Herpetological Journal: accepted. Jablonski, D., C. R. Bursey, D. A. Milko & S. R. Goldberg. 2019. Eremias nikolskii (Kirghiz Racerunner). Endoparasite. Herpetological Review: accepted. Jablonski, D., A. Urošević, M. Andjelković & G. Džukić. 2019. An unknown collection of lizards from Afghanistan. ZooKeys: accepted. Novák, J., D. Jablonski & J. Christophoryová. 2019. Contribution to the pseudoscorpion fauna of Transylvania and the Eastern and Southern Carpathians, Romania (Arachnida: Pseudoscorpiones). North-Western Journal of Zoology: accepted. Čerňanský, A., E.V. Syromyatnikova & D. Jablonski. 2019. The first record of amphisbaenian and anguimorph lizards (Reptilia, Squamata) from the upper Miocene Solnechnodolsk locality in Russia. Historical Biology: accepted. Jablonski, D., Z. T. Nagy, A. Avcı, K. Olgun, O. V. Kukushkin, B. Safaei-Mahroo & D. Jandzik. 2019. Cryptic diversity in the smooth snake (Coronella austriaca). Amphibia-Reptilia: accepted. Jablonski, D., V. Gvoždík, L. Choleva, D. Jandzik, J. Moravec, Z. Mačát & M. Veselý. 2019. Tracing the maternal origin of the common wall lizard (Podarcis muralis) on the northern range margin in Central Europe. Mitochondrion: accepted. Mačát, Z., M. Rindoš, D. Mihalca & D. Jablonski. 2019. Amplexus between two different orders of amphibians recorded in Romania. North-Western Journal of Zoology: accepted. Jablonski, D., R. Masroor, M. A. Khan & M. Altaf. 2019. Addition to the snake fauna of Pakistan: Mackinnon's Wolf Snake, Lycodon mackinnoni Wall, 1906. Herpetological Bulletin. 147: 21-23. Jablonski, D., E. Tzoras & P. Drakopoulos. 2019. Defensive behaviour in Rana graeca. Herpetological Bulletin. 147: 19-20. Papezik, P., S. Gezova & D. Jablonski. 2019. Vipera berus (European Adder). Communal shelter. Herpetological Review. 50: 167-168. Jablonski, D., P. Balej, T. Reich & B. Naumov. 2019. Xerotyphlops vermicularis (Merrem, 1820), along the Bulgarian Black Sea coast: a compilation of new and published records. Herpetozoa. 31: 220-224. Jablonski, D., K. Soltys & E. Simonov. 2019. Complete mitochondrial genome of the Four-lined snake, Elaphe quatuorlineata (Bonnaterre, 1790). Mitochondrial DNA Part B - Resources. 4: 897-898. Jablonski, D. & R. Masroor. 2019. The easternmost distribution and highest elevation record of the rate Desert Cat snake Telescopus rhinopoma (Reptilia: Colubridae) in Pakistan. Journal of Threatened Taxa. 11: 13180-13183. Jablonski, D., K. Soltys, O.V. Kukushkin & E. Simonov. 2019. Complete mitochondrial genome of the Blotched snake, Elaphe sauromates (Pallas, 1814). Mitochondrial DNA Part B - Resources. 4: 468-469. Jablonski, D. 2018. Male-male combat in Pseudopus apodus (Reptilia: Anguidae). 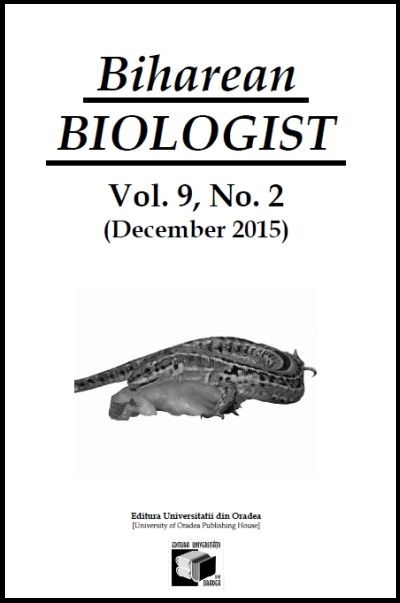 Russian Journal of Herpetology. 25: 293-298. Norval, G., D. Jablonski, J. Christophoryová, V. Q. Luu, S. R. Goldberg & C. R. Bursey. 2018. A Record of an Asian House Gecko (Hemidactylus frenatus Schlegel, 1836) from Laos as a host of Kiricephalus pattoni (Stephens, 1908), with comments on the distribution and natural history of this parasite. Comparative Parasitology. 85: 189-192. Jablonski, D., D. Gruľa & J. Christophoryová. 2018. First record of Mauremys sinensis (Gray, 1834) and its natural overwintering in Central Europe. Herpetology Notes. 11: 949-951. Jablonski, D. & A. J. Lesko. 2018. New locality record of the Bengal monitor, Varanus bengalensis (Daudin, 1802), from Afghanistan. Herpetology Notes. 11: 915-917. Jablonski, D. & N. Avraham. 2018. Markedly dark coloration in a Pallas' glass lizard, Pseudopus apodus (Reptilia: Anguidae). Spixiana. 41: 155-156. Gezova, S. & D. Jablonski. 2018. Range extension and highest elevational populations of Natrix tessellata in Slovakia. Amphibian & Reptile Conservation. 12: 98-105. Jablonski, D. & A. Purkart. 2018. First report of leucism in Anguis fragilis (Linnaeus, 1758). Herpetological Bulletin. 145: 35-36. Jablonski, D., C. R. Bursey, J. Christophoryová, P. Mikulíček, S. R. Goldberg. 2018. Pelophylax shqipericus (Albanian Pool Frog). Endoparasite. Herpetological Review. 49: 518. Koleska, D. & D. Jablonski. 2018. On a four-tailed Iguana delicatissima Laurenti, 1768 on Petite Terre, Guadeloupe (Lesser Antilles, Caribbean region). Phyllomedusa. 17: 161-163. Gezova, S. & D. Jablonski. 2018. Natrix natrix (Grass Snake). Mortality. Herpetological Review. 49: 348-349. Mačát, Z. & D. Jablonski. 2018. Polypedates leucomystax (Common tree frog). Defensive behavior. Herpetological Review. 49: 307. Christophoryová, J. & D. Jablonski. 2018. First record of Lamprochernes chyzeri (Pseudoscorpiones: Chernetidae) in the Republic of Macedonia. Biharean Biologist. 12: 53-55. Mikulíček, P., D. Jablonski, M. Paleník, V. Gvoždík & D. Jandzik. 2018. Characterization of microsatellite markers in the genera Anguis and Pseudopus (Reptilia: Anguidae). Salamandra. 54: 158-162. Gezova, S., P. Drugac, A. Purkart & D. Jablonski. 2018. Albinism in two snake species recorded from Slovakia. 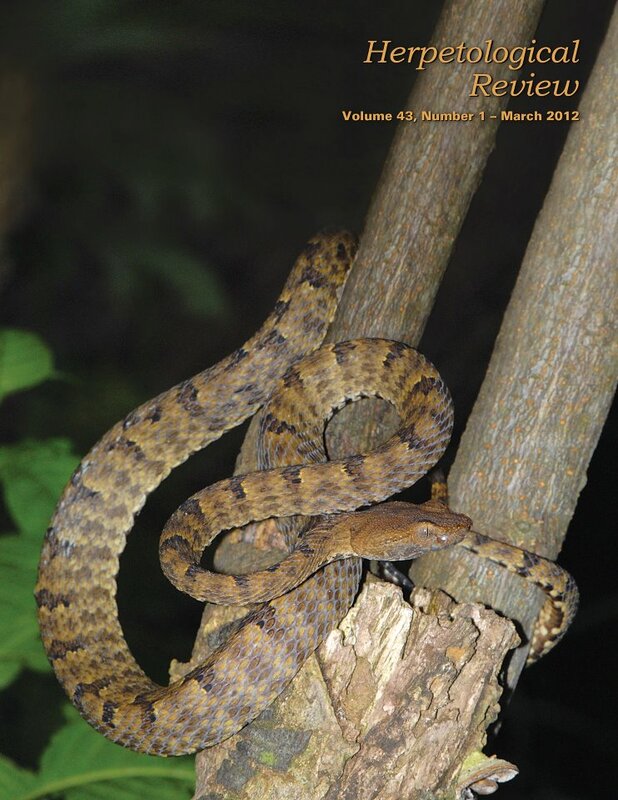 Russian Journal of Herpetology. 25: 79-82. Wielstra, B., D. Canestrelli, M. Cvijanović, M. Denoël, A. Fijarczyk, D. Jablonski, M. Liana, B. Naumov, K.B. Olgun, M. Pabijan, A. Pezzarossa, G. Popgeorgiev, D. Salvi, Y. Si, N. Sillero, K. Sotiropoulos, P. Zieliński & W. Babik. 2018. The distributions of the six species constituting the smooth newt species complex (Lissotriton vulgaris sensu lato and L. montandoni) – an addition to the New Atlas of Amphibians and Reptiles of Europe. Amphibia-Reptilia. 39: 252-259. Kotsakiozi, P., D. Jablonski, Ç. Ilgaz, Y. Kumlutaş, A. Avcı, S. Meiri, Y. Itescu, O. Kukushkin, V. Gvoždík, G. Scillitani, S. Roussos, D. Jandzik, P. Kasapidis, P. Lymberakis & N. Poulakakis. 2018. Multilocus phylogeny and coalescent species delimitation in Kotschy's gecko, Mediodactylus kotschyi: hidden diversity and cryptic species. Molecular Phylogenetics and Evolution. 125: 177-187. 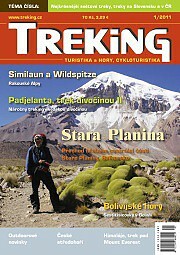 Featured by Denník N, Dromedar.sk, Pravda.sk, Veda na dosah, SkolskyServis.sk, ScienceMag.cz, TA3, Comenius University in Bratislava. Psonis, N., A. Antoniou, E. Karameta, A.D. Leaché, P. Kotsakiozi, D. Darriba, A. Kozlov, A. Stamatakis, D. Poursanidis, O. Kukushkin, D. Jablonski, J. Crnobrnja-Isailović, I. Gherghel, P. Lymberakis & N. Poulakakis. 2018. Resolving complex phylogeographic patterns in the Balkan Peninsula using closely related wall-lizard species as a model system. Molecular Phylogenetics and Evolution. 125: 100-115. Mačát, Z. & D. Jablonski. 2018. Pelobates fuscus (Laurenti, 1768) amplexing male Bufo bufo (Linnaeus, 1758). Herpetozoa. 30: 222-223. Jandzik, D., D. Jablonski, O. Zinenko, O.V. Kukushkin, J. Moravec & V. Gvoždík. 2018. Pleistocene extinctions and recent expansions in an anguid lizard of the genus Pseudopus. Zoologica Scripta. 47: 21-32. Jablonski, D., C. R. Bursey, J. Christophoryová, V. Q. Luu & S. R. Goldberg. 2017. Oligodon taeniatus (Striped Kukri Snake). Endoparasite. Herpetological Review. 48: 864. Jablonski, D., B. Najbar, R. Grochowalska, V. Gvoždík & T. Strzała. 2017. Phylogeography and postglacial colonization of Central Europe by Anguis fragilis and Anguis colchica. Amphibia-Reptilia. 38: 562-569. Szabolcs, M., E. Mizsei, D. Jablonski, B. Vági, B. Mester, Z. Végvári & S. Lengyel. 2017. Distribution and diversity of amphibians in Albania: new data and basis for a comprehensive database. Amphibia-Reptilia. 38: 435-448. Jablonski, D., D. Gruľa & J. Christophoryová. 2017. Unusual colour and pattern variation of Lacerta agilis (Squamata: Lacertidae) recorded from Central Europe. Biharean Biologist. 11: 126-128. Stolarik, I. & D. Jablonski. 2017. First record and genetic affiliation of the Balkan snow vole Dinaromys bogdanovi (Rodentia: Cricetidae) in Albania. Journal of Threatened Taxa. 9: 10675-10678. Jablonski, D., G. Sion, C. R. Bursey & S. R. Goldberg. 2017. Ptyodactylus guttatus (Sinai fan-fingered gecko). Endoparasite. Herpetological Review. 48: 659. Jablonski, D. & B. Shacham. 2017. Ablepharus rueppellii (Rüppell's snake-eyed skink). Israel: Eastern Negev. Herpetological Review. 48: 587. Lipták, B., M. Mojžišová, D. Gruľa, J. Christophoryová, D. Jablonski, M. Bláha, A. Petrusek & A. Kouba. 2017. Slovak section of the Danube has its well-established breeding gound of marbled crayfish Procambarus fallax f. virginalis. Knowledge and Managment of Aquatic Ecosystems. 418: 40. Jablonski, D., D. Gruľa, César L. Barrio-Amorós & P. J.R. Kok. 2017. Molecular phylogenetic relationships among Pristimantis summit populations in the eastern tepui chain: insights from P. aureoventris (Anura: Craugastoridae). Salamandra. 53: 473-478. Kindler, C., M. Chèvre, S. Ursenbacher, W. Böhme, A. Hille, D. Jablonski, M. Vamberger & U. Fritz. 2017. Hybridization patterns in two contact zones of grass snakes reveal a new Central European snake species. Scientific Reports. 7: 7378. Featuredy by The Guardian, BBC, ScienceDaily, Phys.org, Denník N, Hospodárské noviny, Bratislavské noviny, Dobré noviny, Košiceonline.sk, Pravda, Pluska, Refresher.sk, TA3, Teraz.sk, Veda na dosah, Comenius University in Bratislava. Jablonski, D., D. Koleska, S. R. Goldberg & C. R. Bursey. 2017. Two new records of ascarid parasites in snakes (Colubridae) of Albania. Ecologica Montenegrina. 11: 20-22. Koleska, D., V. Svobodova, M. Kulma & D. Jablonski. 2017. Tail bifurcation recorded in Sauromalus ater. Herpetology Notes. 10: 363-364. Jablonski, D. 2017. Two types of defensive behavior recorded in Bufotes pewzowi (Bufonidae). Herpetological Bulletin. 140: 40-41. Christophoryová, J. & D. Jablonski. 2017. New data to distribution of pseudoscorpions in Albania (Pseudoscorpiones: Chernetidae). Natura Croatica. 26: 117-122. Jablonski, D. & D. Koleska. 2017. Molecular identification of Eremias stummeri (Squamata: Lacertidae) as a prey for Gloydius halys complex (Serpentes: Viperidae) from Kyrgyzstan. Phyllomedusa. 16: 37-40. Stolarik, I., D. Gruľa & D. Jablonski. 2017. Two new species of Cricetidae for the fauna of Albania. Biologia. 72: 581-585. Javanbakht, H., F. Ihlow, D. Jablonski, P. Široký, U. Fritz, D. Rödder, M. Sharifi & P. Mikulíček. 2017. Genetic diversity and Quaternary range dynamics in Iranian and Transcaucasian tortoises. Biological Journal of the Linnean Society. 121: 627-640. Christophoryová, J., D. Gruľa & D. Jablonski. 2017. First record of the genus Lamprochernes (Pseudoscorpiones: Chernetidae) in Albania. Biharean Biologist. 11: 62-64. Szabolcs, M., D. Jablonski & E. Mizsei. 2017. SEH Grant in Herpetology – Mapping and Distributions 2015 – Report. Mapping the herpetofauna of Albania. Amphibia-Reptilia. 38: 262-263. Mizsei, E., D. Jablonski, Z. Végvári, S. Lengyel & M. Szabolcs. 2017. Distribution and diversity of reptiles in Albania: a novel database from a Mediterranean hotspot. Amphibia-Reptilia. 38: 157-173. Jablonski, D. & J. Kautman. 2017. Melanism in Natrix tessellata (Serpentes: Colubridae) from Slovakia. Herpetology Notes. 10: 173-175. Jablonski, D., M. Szabolcs, A. Simović & E. Mizsei. 2017. Color and pattern variation of the Balkan Whip Snake, Hierophis gemonensis. Turkish Journal of Zoology. 41: 363-369. Jablonski, D., D. Hegner & R. Smolinský. 2017. Natrix natrix (Grass snake). Maximum elevation. Herpetological Review. 48: 215. Jablonski, D., J. Mroček, D. Gruľa & J. Christophoryová. 2017. Attempting courtship between Emys orbicularis and Trachemys scripta (Testudines: Emydidae). Herpetology Notes. 10: 123-126. Vojar, J., B. Havlíková, M. Solský, D. Jablonski, V. Iković & V. Baláž. 2017. Distribution, prevalence and amphibian hosts of Batrachochytrium dendrobatidis in the Balkans. Salamandra. 55: 44-49. Strzała, T., R. Grochowalska, B. Najbar, A. Crottini, B. Kosowska & D. Jablonski. 2017. Complete mitochondrial genome of the Italian slow-worm Anguis veronensis Pollini, 1818, and its comparison with mitogenomes of other Anguis species. Mitochondrial DNA Part B - Resources. 2: 71-72. Strzała, T., R. Grochowalska, B. Najbar, A. Najbar & D. Jablonski. 2017. Complete mitochondrial genome of the Eastern Slow Worm, Anguis colchica (Nordmann, 1840). Mitochondrial DNA Part B - Resources. 2: 67-68. Mizsei, E., D. Jablonski, S.A. Roussos, M. Dimaki, Y. Ioannidis, G. Nilson & Z.T. Nagy. 2017. Nuclear markers support the mitochondrial phylogeny of Vipera ursinii–renardi complex (Squamata: Viperidae) and species status for the Greek meadow viper. Zootaxa. 4227: 75-88. Psonis, N., A. Antoniou, O. Kukushkin, D. Jablonski, B. Petrov, J. Crnobrnja-Isailović, K. Soutiropoulos, I. Gherghel, P. Lymberakis & N. Poulakakis. 2017. Hidden diversity in the Podarcis tauricus (Sauria, Lacertidae) species subgroup in the light of multilocus phylogeny and species delimitation. Molecular Phylogenetics and Evolution. 106: 6-17. Koleska, D. & D. Jablonski. 2016. Two cases of unclear hindlimb malformation in Bombina variegata. Ecologica Montenegrina. 9: 56-58. Jablonski, D. 2016. Tail bifurcation in a Desert Lidless Skink (Ablepharus deserti) from Kyrgyzstan. IRCF Reptiles & Amphibians. 23: 171-172. Kukushkin, O.V. & D. Jablonski. 2016. A record of the Balkan stripe-necked terrapin, Mauremys rivulata (Testudines: Geoemydidae) from the Azov Sea coast in the Crimea. Amphibian & Reptile Conservation. 10: 27-29 (e129). Jayaneththi, H. B. & D. Jablonski. 2016. Assessment of historical and current distribution records of the Indo-Pacific Slender Gecko, Hemiphyllodactylus typus Bleeker, 1860, in Sri Lanka. Ceylon Journal of Science. 45: 77-84. Jablonski, D. & J. Christophoryová. 2016. A concolor morph recorded in the Podarcis ionicus species complex (Sauria, Lacertidae) from Albania. Herpetology Notes. 9: 303-306. Vlček, P. & D. Jablonski. 2016. An extraordinary large prey observed in the diet composition of Natrix tessellata (Squamata: Colubridae). Herpetological Bulletin. 137: 43-45. Jablonski, D., D. Gruľa & J. Christophoryová. 2016. The first record of a melanistic Trachemys scripta from an introduced population in Slovakia. Herpetological Bulletin. 137: 35-36. Mizsei, E., M. Uhrin, D. Jablonski & M. Szabolcs. 2016. First record of the Italian wall lizard, Podarcis siculus (Rafinesque-Schmaltz, 1810) (Squamata: Lacertidae) in Albania. Turkish Journal of Zoology. 40: 814-817. Uhrin, M., P. Havaš, M. Minařík, K. Kodejš, I. Bugoš, S. Danko, T. Husák, D. Koleska & D. Jablonski. 2016. Distribution updates to amphibian and reptile fauna for the Republic of Macedonia. Herpetology Notes. 9: 201-220. Strzała, T., R. Grochowalska, B. Najbar, P. Mikulíček, D. Jandzik, P. Lymberakis & D. Jablonski. 2016. Complete mitochondrial genome of the endemic legless lizard Anguis cephallonica Werner, 1894 and its comparison with mitogenome of Anguis fragilis Linnaeus, 1758. Mitochondrial DNA Part B - Resources. 1: 83-85. Jablonski, D. & D. Hegner. 2016. Death feigning behaviour in Aplopeltura boa (Boie, 1828). Herpetological Bulletin. 136: 35-36. Jablonski, D., D. Jandzik, P. Mikulíček, G. Džukić, K. Ljubisavljević, N. Tzankov, D. Jelić, E. Thanou, J. Moravec & V. Gvoždík. 2016. Contrasting evolutionary histories of the legless lizards slow worms (Anguis) shaped by the topography of the Balkan Peninsula. BMC Evolutionary Biology. 16:99. Mačát, Z., D. Hegner & D. Jablonski. 2016. Erythrism in the smooth snake, Coronella austriaca (Laurenti, 1768), recorded from Georgia. 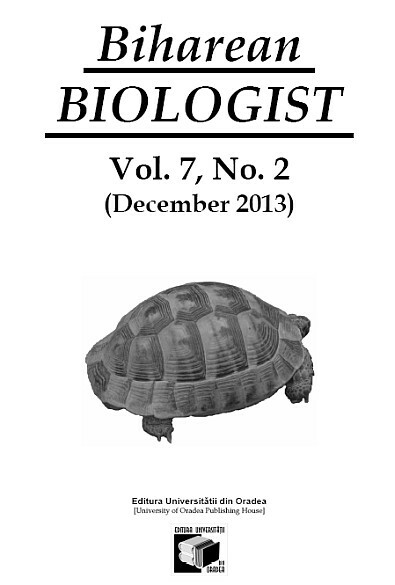 Russian Journal of Herpetology. 23: 73-76. Mačát, Z. & D. Jablonski. 2016. Good invasion ability is not enough: predation on the pond slider (Trachemys scripta) by the wels catfish (Silurus glanis) in the Czech Republic. Herpetological Bulletin. 135: 38-39. Marzahn, E., W. Mayer, U. Joger, Ç. Ilgaz, D. Jablonski, C. Kindler, Y. Kumlutaş, A. Nistri, N. Schneeweiß, M. Vamberger, A. Žagar & U. Fritz. 2016. Phylogeography of the Lacerta viridis complex: mitochondrial and nuclear markers provide taxonomic insights. 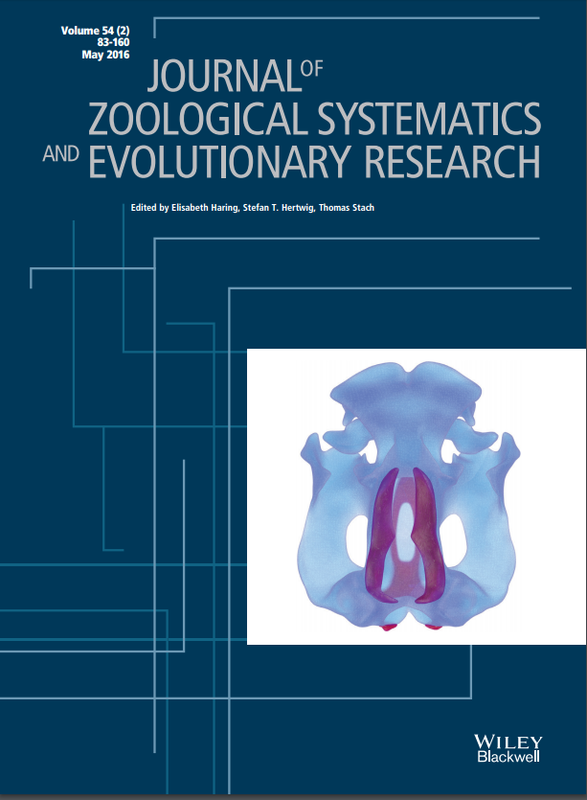 Journal of Zoological Systematics and Evolutionary Research. 54: 85-105. Jablonski, D., D. Hegner & Á. Sosa-Bartuano. 2016. Lepidodactylus lugubris. Panama. Mesoamerican Herpetology. 3: 181-182. Mačát, Z., L. Jeřábková, A. Reiter, M. Rulík & D. Jablonski. 2015. Malformations and body injuries in a hybrid zone of crested newts (Caudata: Salamandridae: Triturus cristatus superspecies). Acta Herpetologica. 10: 135-141. Jablonski, D., P. Havaš, J. Kautman, J. Lengyel, F. Szalay & P. Mikulíček. 2015. Critically endangered European pond turtle (Emys orbicularis) in western Slovakia: historical and current records with the discovery of a new reproducing population. Herpetology Notes. 8: 617-624. Mačát, Z., M. Veselý & D. Jablonski. 2015. 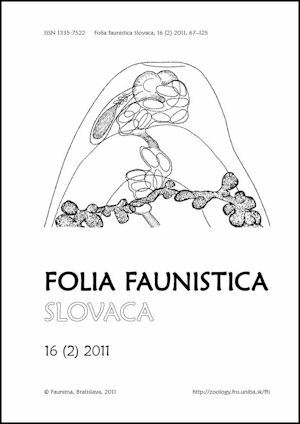 New case of fruit eating observation in Podarcis siculus (Rafinesque-Schmaltz, 1810) (Lacertidae) from Croatia. Biharean Biologist. 9: 158-159. Jablonski, D. & D. Hegner. 2015. Theloderma asperum (Hill garden Bug-eyed frog). Defensive behavior. Herpetological Review. 46: 421. Koleska, D. & D. Jablonski. 2015. Tail trifurcation recorded in Algyroides nigropunctatus (Duméril & Bibron, 1839). Ecologica Montenegrina. 3: 26-28. Featured by National Geographic, Atlas Obscura, FoodWorldNews, GeoBeats, Mysterious Universe. Jablonski, D. & P. Mikulíček. 2015. Presumptive unilateral anophthalmia recorded in Coronella austriaca Laurenti, 1768. Herpetology Notes. 8: 459-460. Balogová, M., M. Apfelová, T. Flajs, D. Jablonski, J. Kautman, P. Krišovský, A. Krištín, V. Papáč, P. Puchala, P. Urban & M. Uhrin. 2015. Distribution of the fire salamander (Salamandra salamandra) in Slovakia. Folia faunistica Slovaca. 20: 67-93. Natchev, N., D. Jablonski, G. Dashev, T. Koynova, D. Zahariev & N. Tzankov. 2015. A puzzle about Bombina sp. : a yellow-bellied specimen of the fire-bellied toad (Bombina bombina Linnaeus, 1761) indicates the highest proven habitat of the species in Bulgaria. Herpetology Notes. 8: 379-384. Jablonski, D. 2015. Gonatodes albogularis. Communal Egg Laying. Mesoamerican Herpetology. 2: 195-196. Jayaneththi, H.B., P.L. Madurapperuma, A.V. Velauthem, N.H. Balasuriya & D. Jablonski. 2015. Bewertung der Verbreitung des Schuppenfingergeckos Lepidodactylus lugubris (Duméril & Bibron, 1836) in Sri Lanka [Assessment of the distribution of the Mourning Gecko, Lepidodactylus lugubris (Duméril & Bibron, 1836), in Sri Lanka]. Sauria. 37(2): 17-26. Jablonski, D., D. Zerzán & K. Çiçek. 2015. Scorpions as a prey for Ottoman viper, Montivipera xanthina: the first record from southwestern Anatolia, Turkey. Biharean Biologist. 9: 78-79. Jablonski, D., B. Vági & G. Kardos. 2015. Abbreviata abbreviata (Rudolphi, 1819) as a new nematode parasite for Malpolon insignitus (Geoffroy Saint-Hilaire, 1827) recorded in Albania. Ecologica Montenegrina. 2: 194-196. Mačát, Z., E. Mizsei & D. Jablonski. 2015. Triturus macedonicus (Macedonian Crested Newt). Tail autotomy. Herpetological Review. 46: 71-72. Jablonski, D. & P. Balej. 2015. Xerotyphlops vermicularis (Merrem, 1820), in the west Bulgarian Rhodope Mountains: rediscovery after more than 100 years. Herpetozoa. 27: 200-203. Vlček, P., D. Jablonski, M. Kudláček & K. Mebert. 2015. Rediscovery of the Dice Snake Natrix tessellata (Laurenti, 1768) from the Island of Krk, Croatia. Herpetozoa. 27: 191-196. Jablonski, D. 2015. Predation on Pristimantis ridens (Cope, 1866) by a wandering spider (Ctenidae Keyserling, 1877) in mountain cloud forest of Costa Rica. Herpetology Notes. 8: 1-3. Jablonski, D., A. Alena, P. Vlček & D. Jandzik. 2014. Axanthism in amphibians: A review and the first record in the widespread toad of the Bufotes viridis complex (Anura: Bufonidae). Belgian Journal of Zoology. 144: 93-101. Mačát, Z., M. Starcová, J. Červenka, D. Jablonski & M. Šandera. 2014. A molecular assessment and first record of Tarentola mauritanica (Squamata: Phyllodactylidae) on Corfu, Greece. Salamandra. 50: 172-176. Jablonski, D. & P. Balej. 2014. Triturus ivanbureschi (Buresch’s Crested Newt). Defensive behavior. Herpetological Review. 45: 302-303. Jablonski, D., D. Frynta & G.M.M. Marín. 2014. 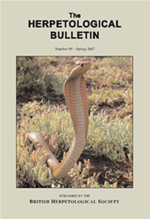 New records of the Awl-headed Snake (Lytorhynchus diadema) from northeastern Morocco. Herpetology Notes. 7: 295-297. Jablonski, D. & P. Balej. 2014. Case of defensive behavior in Pelobates syriacus (Amphibia: Pelobatidae). Herpetology Notes. 7: 141-143. Vlček, P., M. Kudláček & D. Jablonski. 2013. First record of the egg cannibalism in tadpoles of Bufotes viridis complex (Anura: Bufonidae) from Croatia. Biharean Biologist. 7: 106-107. Jablonski, D., P. Balej, F. Jůna & M. Homolka. 2013. Low altitudinal distribution of Salamandra salamandra from the Balkan Peninsula. Herpetology Notes. 6: 563-566. Jablonski, D. 2013. Unusual observation of the winter activity of Lissotriton vulgaris from south–western Slovakia. Folia faunistica Slovaca. 18: 301-302. Kindler, C., W. Böhme, C. Corti, V. Gvoždík, D. Jablonski, D. Jandzik, M. Metallinou, P. Široký & U. Fritz. 2013. Mitochondrial phylogeography, contact zones and taxonomy of grass snakes (Natrix natrix, N. megalocephala). Zoologica Scripta. 42: 458-472. Jablonski, D. 2013. Geographic distribution: Apalone spinifera emoryi (Texas Spiny Softshell). Herpetological Review. 44: 105. Jablonski, D., D. Jandzik & V. Gvoždík. 2012. New records and zoogeographic classification of amphibians and reptiles from Bosnia and Herzegovina. 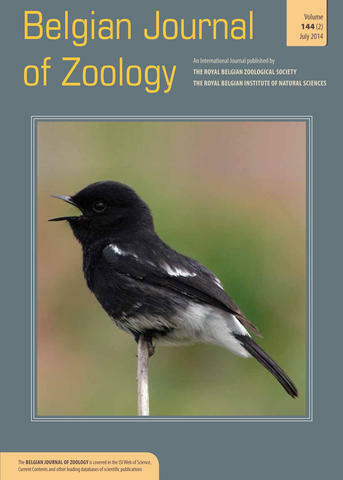 North-Western Journal of Zoology. 8: 324-337. Jablonski, D. & P. Vlček. 2012. A record of Pelophylax esculentus attack on Bombina variegata. Herpetology Notes. 5: 503-505. Jablonski, D. 2012. M. S. Arakelyan, F. D. Danielyan, C. Corti, R. Sindaco & A. E. Leviton (2011): Herpetofauna of Armenia and Nagorno-Karabakh - book review. Salamandra. 48: 185-186. Jablonski, D. & E. Stloukal. 2012. Supplementary amphibian and reptilian records from European Turkey. Herpetozoa. 25: 59-65. Jablonski, D. & P. Vlček. 2012. Hyla arborea (European Tree Frog). Potential cannibalism. Herpetological Review. 43: 119. Jablonski, D. 2011. 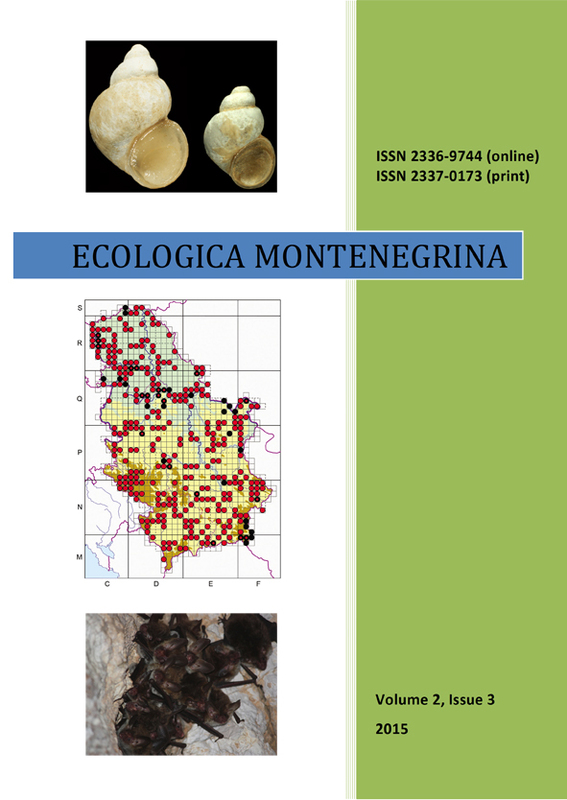 Reptiles and amphibians of Albania with new records and notes on occurrence and distribution. 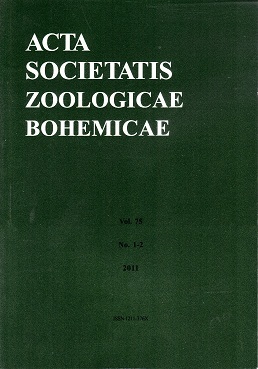 Acta Societatis Zoologicae Bohemicae. 75: 223-238. Vlček, P., V. Zavadil, D. Jablonski & K. Mebert. 2011. Dice Snake (Natrix tessellata) in the Baltic Sea Drainage Basin (Karvinsko District in Silesia, Czech Republic). Mertensiella. 18: 177-187. Jablonski, D. & P. Meduna. 2010. Blue color of the ventral body part of Eastern Slow Worm Anguis colchica (Nordmann, 1840). Herpetology Notes. 3: 295-296. Gvoždík, V., D. Jandzík, P. Lymberakis, D. Jablonski & J. Moravec. 2010. Slow Worm, Anguis fragilis (Reptilia: Anguidae) as a species complex: Genetic structure reveals deep divergences. Molecular Phylogenetics and Evolution. 55: 460-472. Vlček, P., B. Najbar & D. Jablonski. 2010. 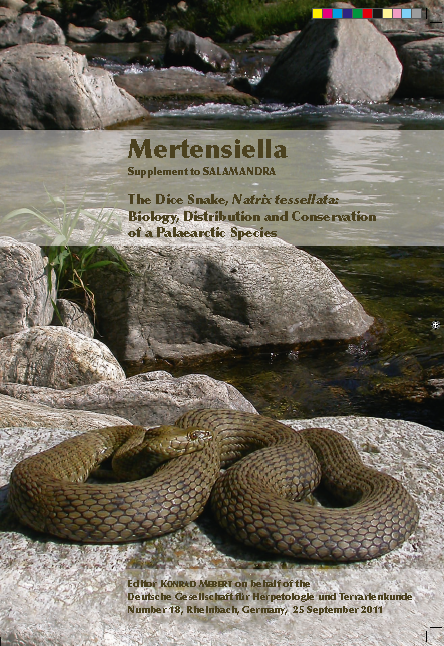 First records of the Dice Snake (Natrix tessellata) from the North-Eastern part of the Czech Republic and Poland. Herpetology Notes. 3: 023-026. Jablonski, D., S. Meiri, E. Maza & D. Jandzik. 2018. Mitochondrial diversity in the southern populations of Pseudopus apodus. 54. Meiri et al. (Eds.). 10th Symposium on the lacertid lizards of the Mediterranean Basia & 2nd Symposium on the lizards of the Mediterranean Basin. Book of abstracts. 18 - 22 June, 2018. 70 pp. Gvoždík, V., S.J.E. Baird, D. Jablonski, D. Jandzik, P. Mikulicek & J. Moravec. 2018. Slepýši - nový plazí model ve výzkumu hybridních zón. 76. In: Bryja, J. & M. Solský (Eds. ): Zoologické dny Praha 2018. Sborník abstraktů z konference 8.-9. února 2018. 283 pp. Gezova, S. & D. Jablonski. 2018. Geografická variabilita a evolučná história druhového komplexu Natrix tessellata (Ophidia: Natricidae) v Európe. 74. In: Bryja, J. & M. Solský (Eds. ): Zoologické dny Praha 2018. Sborník abstraktů z konference 8.-9. února 2018. 283 pp. Brejcha, J., P. Benda, D. Jablonski & J. Moravec. 2018. Genetická diverzita mloka skvrnitého (Salamandra salamandra) v ČR. 44-45. In: Bryja, J. & M. Solský (Eds. ): Zoologické dny Praha 2018. Sborník abstraktů z konference 8.-9. února 2018. 283 pp. Simonov, E., D. Melnikov, D. Jablonski, A. Kidov & N. Orlov. 2017. Who is who in Gloydius complex? New insights from extended geographical sampling and consequences for venom biochemistry research. 19th SEH European Congress of Herpetology. Programme & Abstract p. 146. University of Salzburg 18-23 September 2017, Austria. 284 pp. Kindler, C., M. Chèvre, S. Ursenbacher, W. Böhme, A. Hille, D. Jablonski, M. Vamberger & U. Fritz. 2017. Hybridization patterns in two contact zones of grass snakes reveal a new Central European snake species. 19th SEH European Congress of Herpetology. Programme & Abstract p. 90. University of Salzburg 18-23 September 2017, Austria. 284 pp. Javanbakht, H., F. Ihlow, D. Jablonski, P. Široký, U. Fritz, D. Rödder, M. Sharifi & P. Mikulíček. 2017. Genetic diversity and Quaternary range dynamics in Iranian and Transcaucasian tortoises. 19th SEH European Congress of Herpetology. Programme & Abstract p. 82. University of Salzburg 18-23 September 2017, Austria. 284 pp. Benovics, M., D. Jablonski & P. Mikulíček. 2017. Genetic diversity of Pelophylax in south-western Balkans. 19th SEH European Congress of Herpetology. Programme & Abstract p. 52. University of Salzburg 18-23 September 2017, Austria. 284 pp. Jablonski, D., P. Mikulíček, J. Moravec & V. Gvoždík. 2017. Evoluční historie dvou rodů čeledě Anguidae v západním palearktu. 81-82. In: Bryja, J., Horsák, M, Horsáková, V., Z. Řekáh & J. Zukal (Eds. ): Zoloogické dny Brno 2017. Sborník abstraktů z konference 9.-10. února 2017. 254 pp. Christophoryová, J., D. Gruľa & D. Jablonski. 2017. Prvé nálezy druhov čeľade Chernetidae pre faunu šťúrikov Albánska (Arachnida: Pseudoscorpiones). 80-81. 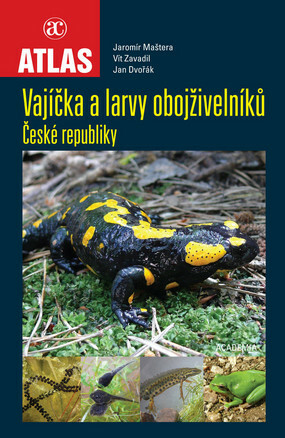 In: Bryja, J., Horsák, M, Horsáková, V., Z. Řekáh & J. Zukal (Eds. ): Zoloogické dny Brno 2017. Sborník abstraktů z konference 9.-10. února 2017. 254 pp. Benovics, M., D. Jablonski & P. Mikulíček. 2017. Rozšírenie a genetická diverzita vodných skokanov v oblasti juhozápadného Balkánu. 28. In: Bryja, J., Horsák, M, Horsáková, V., Z. Řekáh & J. Zukal (Eds. ): Zoloogické dny Brno 2017. Sborník abstraktů z konference 9.-10. února 2017. 254 pp. Kautman, J., D. Jablonski & P. Mikulíček. 2017. History and presence of herpetological research in Slovakia. 10. In: 28. 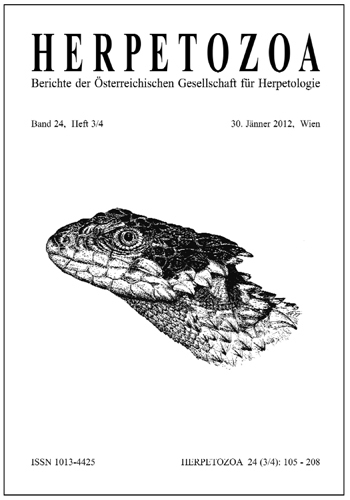 Jahrestagung der Österreichischen Gessellschaft für Herpetologie, Austria, 13.-15. Jänner 2017. Naturhistorisches Museum Wien, Wien. Fenďa, P. , D. Jablonski & J. Kraljik. 2016. 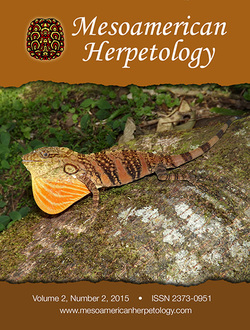 Zoogeography and phenology of Hemipteroseius adleri (Mesostigmata, Otopheidomenidae). 82. In: 8th Symposium of the European Association of Acarologists (Valencia), Spain, July 11-15, 2016. Universitat Politecnica de Valencia, Valencia. Szabolcs, M., D. Jablonski, S. Lengyel, Z. Végvári & E. Mizsei. 2016. Az albán herpetofauna természetvédelmi értékelése. 15. In: V. Herpetológiai Előadóülés, 2016 március 7. Magyar Természettudományi Múzeum, Semsey Andor előadóterem. 26 pp. Mizsei, E., Z. Végvári, D. Jablonski, S. Lengyel & M. Szabolcs. 2016. Kétéltűek és hüllők elterjedése és diverzitása Albániában. 14. In: V. Herpetológiai Előadóülés, 2016 március 7. Magyar Természettudományi Múzeum, Semsey Andor előadóterem. 26 pp. Stolárik, I., D. Gruľa & D. Jablonski. 2016. Dva noví savci pro faunu Albánie (Rodentia: Cricetidae). 207. In: Bryja, J., F. Sedláček & R. Fuchs (Eds. ): Zoologické dny České Budějovice 2016. Sborník abstraktů z konference 11.-12. února 2015. 279 pp. Mačát, Z., L. Jeřábková, A. Reiter, M. Rulík & D. Jablonski. 2016. Morfologické abnormality a zranění v hybridní zóně velkých čolků (Triturus cristatus superspecies) jižní Moravy. 133. In: Bryja, J., F. Sedláček & R. Fuchs (Eds. ): Zoologické dny České Budějovice 2016. Sborník abstraktů z konference 11.-12. února 2015. 279 pp. Strachinis, I., P. Patronidis, N. Karaiskou, N. Poulakakis, D. Jablonski & A. Triantafyllidis. 2015. Molecular phylogeny of the two Algyroides species (Sauria; Lacertidae) in the Balkan Peninsula. 182. In: Poulakakis, N., A. Antoniou, E. Karameta, N. Psonis & K. Vardinoyannis (Eds. ): Abstracts of the International Congress on the Zoogeography and Ecology of Greece and Adjacent Regions, 13th ICZEGAR, 7-11 October 2015, Irakleio, Crete, Greece. Hellenic Zoological Society. 203 pp. Mizsei, E., D. Jablonski & M. Szabolcs. 2015. Diversity and distribution of amphibians and reptiles in Albania. 66. 18th European Congress of Herpetology (Societas Europaea Herpetologica). Programme and Abstracts p. 61. University of Wroclaw 7-12 September 2015, Poland. 216 pp. Jablonski, D., P. Vlček & V. Gvoždík. 2015. Fylogeografie evropské linie Natrix tessellata se zaměřením na populace z okraje areálu ve střední Evropě. 99-100. In: Bryja, J., Z. Řekáh & J. Zukal (Eds. ): Zoloogické dny Brno 2015. Sborník abstraktů z konference 12.-13. února 2015. 299 pp. Jablonski, D., G. Džukić, D. Jandzik, D. Jelić, P. Kornilios, K. Ljubisavljević, P. Mikulíček, J. Moravec, N. Tzankov & V. Gvoždík. 2015. Contrasting evolutionary histories of four slow-worm (Anguis) species in the Balkans. 98-99. In: Bryja, J., Z. Řekáh & J. Zukal (Eds. ): Zoloogické dny Brno 2015. Sborník abstraktů z konference 12.-13. února 2015. 299 pp. Baláž, V., M. Solský, D. Jablonski, B. Havlíková & J. Vojar. 2015. Původce chytridiomykózy obojživelníků potvrzen už i na Balkáně, je se čeho obávat? 33. In: Bryja, J., Z. Řekáh & J. Zukal (Eds. ): Zoloogické dny Brno 2015. Sborník abstraktů z konference 12.-13. února 2015. 299 pp. Psonis, N., A. Antoniou, O.V. Kukushkin, B. Petrov, J. Crnobrnja-Isailović, I. Gherghel, D. Jablonski, P. Lymberakis & N. Poulakakis. 2014. Investigating the phylogeography and population structure of Podarcis tauricus group. 179. In: Gavin, D., C. Beierkuhnlein, S. Holzheu, B. Thies, K. Faller, R. Gillespie & J. Hortal (Eds. ): Conference program and abstracts. International Biogeography Society 7th Biennial Meeting. 8-12 January 2015, Bayreuth, Germany. Frontiers of Biogeography Vol. 6, suppl. 1. International Biogeography Society, 246 pp. Kindler, C., W. Böhme, C. Corti, V. Gvoždík, D. Jablonski, D. Jandzik, M. Metallinou, P. Široký & U. Fritz. 2014. Implications of phylogeography and population genetics for the taxonomy of grass snakes (Natrix natrix). 176. In: Gavin, D., C. Beierkuhnlein, S. Holzheu, B. Thies, K. Faller, R. Gillespie & J. Hortal (Eds. ): Conference program and abstracts. International Biogeography Society 7th Biennial Meeting. 8-12 January 2015, Bayreuth, Germany. Frontiers of Biogeography Vol. 6, suppl. 1. International Biogeography Society, 246 pp. Rindoš, M. & D. Jablonski. 2014. Batrachofauna a herpetofauna Popradského rašeliniska. Folia faunistica Slovaca. 19: 93-97. Jablonski, D., P. Vlček & V. Gvoždík. 2014. Autochtonní nebo introdukce? Genetická identita izolované populace užovky podplamaté (Natrix tessellata) ze Slezska dle mitochondriální DNA. 82-83. In: Bryja, J., P. Drozd. (Eds. ): Zoologické dny Ostrava 2014. Sborník abstraktů z konference 6.-7. února 2014. 253 pp. Mačát, Z., M. Starcová, J. Červenka, D. Jablonski & M. Šandera. 2014. Gekon zední (Tarentola mauritanica) na řeckém ostrově Korfu: první záznam a identifikace mitochondriálního haplotypu. 122-123. In: Bryja, J., P. Drozd. (Eds. ): Zoologické dny Ostrava 2014. Sborník abstraktů z konference 6.-7. února 2014. 253 pp. Jablonski, D., G. Džukić, D. Jandzik, D. Jelić, K. Ljubisavljević, P. Mikulíček, J. Moravec, N. Tzankov & V. Gvoždík. 2013. Mitochondrial phylogeography of three species of slow worms (Anguis) in the Balkans. 17th European Congress of Herpetology Veszprém, Hungary. Programme & Abstracts. University of Pannonia 22-27 August 2013. 243 pp. Kindler, C., W. Böhme, C. Corti, V. Gvoždík, D. Jablonski, D. Jandzik, M. Metallinou, P. Široký & U. Fritz. 2013. Mitochondrial phylogeography of grass snakes (Natrix natrix, N. megalocephala) conflicts with taxonomy and reveals an additional unexpected contact zone in Central Europe. 17th European Congress of Herpetology Veszprém, Hungary. Programme & Abstracts. University of Pannonia 22-27 August 2013. 131 pp. Jablonski, D., G. Džukić, D. Jandzik, D. Jelić, K. Ljubisavljević, P. Mikulíček, J. Moravec, N. Tzankov & V. Gvoždík. 2013. Mitochondrial DNA diversity and haplotype distribution of slow worms (Anguis spp.) in the Balkans. 91-92. In: Bryja, J., Z. Řekáh & J. Zukal (Eds. ): Zoloogické dny Brno 2013. Sborník abstraktů z konference 7.-8. února 2013. 283 pp. Hadrava, J., D. Jablonski, P. Janšta, C. Linn & H. Urbánková. 2013. Fylogeografie kudlanky nábožné (Mantis religiosa (Linnaeus, 1758)) v rámci Evropy. 72. In: Bryja, J., Z. Řekáh & J. Zukal (Eds. ): Zoloogické dny Brno 2013. Sborník abstraktů z konference 7.-8. února 2013. 283 pp. Rindoš, M. & D. Jablonski. 2012. Primárné data k batrachofaune a herpetofaune Popradského rašeliniska. 147. In: Kubovčík, V. & S. Stašiov (Eds. ): Zoológia 2012/18. Feriancove dni, Zvolen. Zborník príspevkov z vedeckého kongresu 22.-24. 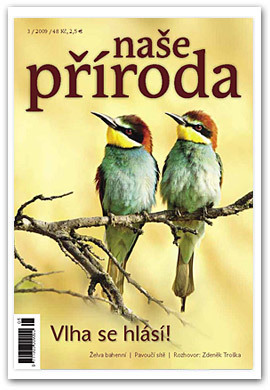 Novembra 2012. 190 pp. Pačenovský, S., B. Demović & D. Jablonski. 2012. Ornitofauna troch typov lesných biotopov kontinentálnej Malajsie. Aplikovaná ornitológia 2012. Zborník abstraktov z konferencie 6.-7. Septembra 2012. 25-26. Jablonski, D. 2012. Bar, A. & Haimovitch G., 2012: A Field Guide to Reptiles and Amphibians of Israel - recenze. Herpetologické informace. 11(1): 21-24. Jablonski, D., G. Džukić, D. Jandzík, D. Jelić, K. Ljubisavljević, P. Mikulíček, J. Moravec, N. Tzankov & V. Gvoždík. 2012. Diversity and distribution of slow worms (Anguis spp.) in the Balkans as inferred from mitochondrial DNA - abstrakt. Herpetologické informace. 11(1): 8-9. Hadrava, J., D. Jablonski, P. Janšta & H. Urbánková. 2012. Výzkum historického i současného šíření kudlanky Mantis religiosa (Linnaeus, 1758) v rámci Evropy. 65-66. In: Bryja, J., J. Albrechtová & E. Tkadlec (Eds. ): Zoologické dny Olomouc 2012. Sborník abstraktů z konference 9.-10. února 2012. 242. Jablonski, D. & P. Meduna. 2011. Naše želva včera, dnes a zítra aneb Zůstane želva bahenní součástí fauny ČR? Herpetologické informace. 10(1): 18-20. Jablonski, D. 2011. F. Baier, D.J. Sparrow, H.J. 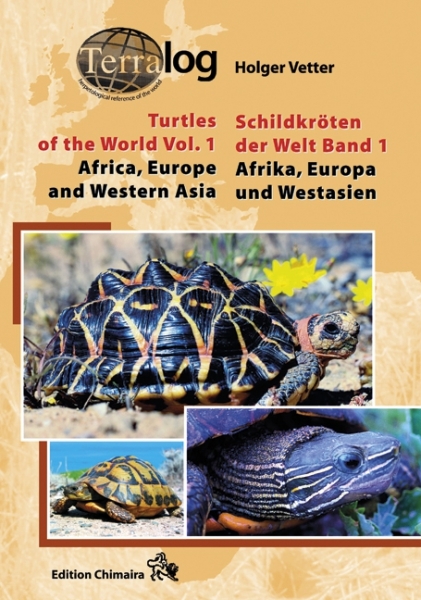 Wiedl (2009): The Amphibians and Reptiles of Cyprus – recenze. Herpetologické informace. 10(1): 14-17. Jablonski, D. 2011. Herpetofauna turecké Thrákie - abstrakt. Herpetologické informace. 10(1): 8-9. Jablonski, D., R. Musilová & V. Zavadil. 2011. Nález užovky stromové (Zamenis longissimus) v Jihočeském kraji. A find of the Aesculapian Snake (Zamenis longissimus) in South Bohemia. Acta Musei Bohemiae Meridionalis in České Budějovice - Scientiae naturales. 51: 166-169. Balej, P. & D. Jablonski. 2011. Balcanica.info - pět let mapování herpetofauny Balkánu. 6. In: Stloukal, E. (Eds.) 2011: Zborník abstraktov z konferencie 17. Feriancove dni 2011, Bratislava, 24-25.12.2011. Faunima, Bratislava, 34 pp. Jablonski, D. 2011. K herpetofauně obce Svetlice a okolí (Slovensko). On the herpetofauna of Svetlice village and its vicinity (Slovakia). Folia faunistica Slovaca. 16(2): 103-107 (in Czech with English abstract). Jablonski, D., D. Jandzík & V. Gvoždík. 2011. Obojživelníci a plazi Bosny a Hercegoviny: nová data o rozšíření. 93-94. In: Bryja, J., Z. Řehák & J. Zukal (Eds.) 2011: Zoloogické dny Brno 2011. Sborník abstraktů z konference 17.-18. února 2011. 282 pp. Balej, P. & D. Jablonski. 2011. Balcanica.info - on-line mapování herpetofauny Balkánu po pěti letech. 27-28. In: Bryja, J., Z. Řehák & J. Zukal (Eds.) 2011: Zoloogické dny Brno 2011. Sborník abstraktů z konference 17.-18. února 2011. 282 pp. Jablonski, D. 2010. 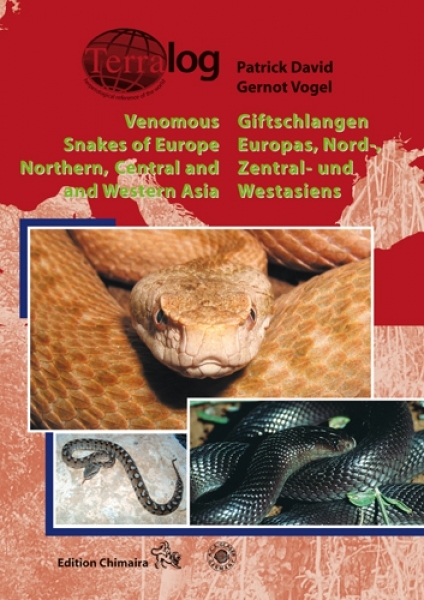 Roztržený pytel s jedovatým hadem aneb recenze knih – David P. a Vogel G.: Venomous Snakes of Europe, Northern, Central and Western Asia a Phelps T.: Old World Vipers – A Natural History of the Azemiopinae and Viperinae. Herpetologické informace. 9(1): 56-60. Jablonski, D., D. Jandzík & V. Gvoždík. 2010. Obojživelníci a plazi Bosny a Hercegoviny: nová data o rozšíření. 30-31. In: Stloukal, E. (Eds.) 2010: Zborník abstraktov z konferencie 16. Feriancove dni 2010, Bratislava, 9-10.12.2010. Faunima, Bratislava, 62 pp. Jablonski, D. & P. Vlček. 2010. Nová data k výskytu Natrix tessellata ve Slezsku. 97. In: Bryja J. & P. Zasadil (Eds.) 2010: Zoologické dny Praha 2010. Sborník abstraktů z konference 11.-12. února 2010. 278 pp. Jablonski, D. 2009. Jaká byla 24. konference ČHS v Dolní Lomné 6. – 8. 11. 2009? Herpetologické informace. 8: 4. Jablonski, D. & P. Vlček 2009. Nový zástupce pro herpetofaunu Slezska - abstrakt. Herpetologické informace. 8: 11-12. Gvoždík, V., D. Jandzík, P. Lymberakis, D. Jablonski &J. Moravec 2009. Slow worm (Anguis fragilis)as a species komplex. 70. In: Bryja, J., Z. Řehák & J. Zukal (Eds.) 2009: Zoloogické dny Brno 2009. Sborník abstraktů z konference 12.-13. února 2009. 251 pp. Balej, P. & Jablonski, D. 2009. Balcanica.info – obojživelníci a plazi Balkánu. 27. In: Bryja, J., Z. Řehák & J. Zukal (Eds.) 2009: Zoloogické dny Brno 2009. Sborník abstraktů z konference 12.-13. února 2009. 251 pp. Gvoždík, V., D. Jandzík, P. Lymberakis, D. Jablonski & J. Moravec, J. 2008. Slow worm (Anguis fragilis) as a species complex - abstrakt. Herpetologické informace. 7: 6-7. Jablonski, D. 2008. The Amphibians and Reptiles of Greece – recenze. Herpetologické informace. 7: 36-38. Šuhaj, J., J. Kašinský & D. Jablonski. 2007. Komentář k nálezu želvy bahenní (Emys orbicularis) v Bohumíně v roce 2007 (Comment on the find of the European Pond Turtle (Emys orbicularis) in Bohumín in 2007). Acrocephalus. 23: 83-86 (in Czech with English abstract). Šuhaj, J., P. Vlček & D. Jablonski. 2005. Obojživelníci (Amphibia) a plazi (Reptilia) dolního Poolzí. (Amphibians (Amphibia) and Reptiles (Reptilia) of lower Poolzí). Acrocephalus. 21: 51-56. (in Czech with English abstract). Veselý, M. & D. Jablonski. 2018. Co víme o původu populací ještěrky zední v České republice. ŽIVA. 66(6): 331-333. Jablonski, D. &. J. Adámek. 2018. Hadi: Bázeň i úcta. Dingir. 4: 132-134. Jablonski, D. 2017. Biogeografie a druhová rozmanitost obojživelníků a plazů Balkánského poloostrova 2. ŽIVA. 65(6): 314-318. Jablonski, D. 2017. Biogeografie a druhová rozmanitost obojživelníků a plazů Balkánského poloostrova. ŽIVA. 65(4): 184-188. Jablonski, D. 2016. Přírodní bohatství Annamského pohoří. PŘÍRODA wildlife 8(7-8): 52-57. Jablonski, D. 2015. Za obojživelníky a plazy Lvího království: Sinharaja, významné místo biodiverzity. ŽIVA 63(4): 187-190. Jablonski, D. 2014. Hory a podzemí Bosny a Hercegoviny. PŘÍRODA wildlife. 6(10): 60-66. Jablonski, D. 2014. Robert Sindaco, Alberto Venchi, Cristina Grieco: The Reptiles of the Western Palearctic 2. Annotated checklist and distributional atlas of the snakes of Europe, North Africa, Middle East and Central Asia. ŽIVA. 62(4): 98-99. Jablonski, D. 2014. Herpetofauna řeckého ostrova Kos. Teramagazín. 4: 7-11. Jablonski, D. 2014. Na lovu saharských trpaslíků. PŘÍRODA wildlife. 6(3): 50-53. Jablonski, D. 2013. Pod ochranou Jezueho stromu. PŘÍRODA wildlife. 5(7/8): 77-79. Jablonski, D. 2013. Pěti národními parky Jižní Afriky. Cestovaťel. 3: 79-85. Jablonski, D. 2013. Taman Negara – za obojživelníky a plazy tropického nížinného lesa kontinentální Malajsie. ŽIVA. 61(1): 41-44. Jablonski, D. 2012. Neodolatelná přitažlivost sloní rezervace. PŘÍRODA wildlife. 4(10): 72-78. Jablonski, D. 2012. Kde se vzali naši hadi? Naše příroda. 5(4): 24-29. Jablonski, D. 2012. Žáby na jarním tahu. PŘÍRODA wildlife. 4(4): 54-56. Jablonski, D. 2012. Na pastvě v korunách stromů. PŘÍRODA wildlife. 4(4): 44-47. Jablonski, D. 2012. Úvodník do Přírody. PŘÍRODA wildlife. 4(4): 1. Jablonski, D. 2011. Kde se vzal bůh? Recenze knihy Evoluce boha. Vesmír. 90(10): 600-601. Jablonski, D. 2011. V srdci Egypta. 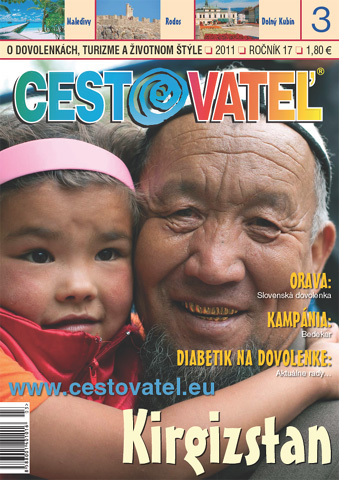 Cestovaťel. 3: 10-13. Jablonski, D. 2011. Poslední želví svět. PŘÍRODA wildlife. 3(5): 40-43. Jablonski, D. 2010. Kľukatá ozdoba. Polovníctvo a Rybárstvo. 62(9): 48-49. Vlček, P., B. Najbar & D. Jablonski. 2010. Łowca ryb w wężowej skórze. Salamandra. 1(29): 20-22. Jablonski, D. 2010. Protiklady indické přírody. PŘÍRODA wildlife. 2(5): 11-16. Vlček, P. & D. Jablonski. 2010. Objevení populace užovky podplamaté v Těšínském Slezsku. ŽIVA. 58(2): 83-86. Jablonski, D. 2010. Živá poušť Erg Chebbi. 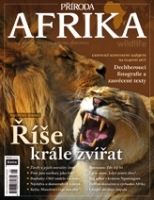 AFRIKA – speciál časopisu Příroda. 88-93. Jablonski, D. 2009. Výšiny nad mořským blankytem. PŘÍRODA wildlife. 1(12): 32-36. Jablonski, D. 2009. „Zeměplaz“ Trogonophis wiegmanni Kaup, 1830 – Maghrebský podzemní endemit. Akvárium Terárium. 52 (9/10): 52-54. Jablonski, D. & V. Gvoždík. 2009. Imobilita jako obranné chování žab pozorované u skokanahnědého. ŽIVA. 57(5): 228-229. Jablonski, D. & V. Ladányi. 2009. Příspěvek k rozšíření užovky hladké v okrese Frýdek – Místek.ŽIVA. 57(4): LXV. Jablonski, D. 2009. Živá poušť Erg Chebbi. PŘÍRODA wildlife. 1(9): 34-39. Čamajová, E. & D. Jablonski. 2009. Ještěrka živorodá (Zootoca vivipara) – jen zdánlivě opomenutý druh evropské herpetofauny. Fauna. 20(13): 6-9. Jablonski, D. & E. Čamajová. 2009. Parga: pláže a ešte viac. .týždeň 16/4: 48-49. Jablonski, D. 2009. Emys orbicularis In: Ondáčková, E. 2009: Želva bahenní. Naše příroda. 2(3): 18-23. Jablonski, D. 2009. Agama impalearis. Akvárium Terárium. 52 (3/4): 53-56. Jablonski, D. 2009. Lytorhynchus diadema (Dumeril, Bibron et Dumeril, 1854). Akvárium Terárium. 52 (1/2): 60-62. Jablonski, D. 2008. S izraelskou pečiatkou. .týždeň 40/9: 46-47. Jablonski, D. 2008. Rudé srdce Šarských hor. Outdoor X (5): 46-47. Jablonski, D. & D. Jandzík 2008. Zmije McMahonova (Eristicophis macmahonii Alcock & Finn, 1897) - bizarní had ze Středního východu. Akvárium Terárium. 51(11/12): 48-51. Jablonski, D. 2008. Trnorep africký – Uromastyx acanthinura Bell, 1825 – komentář k fotografii na titulní straně. Fauna. 19(16): 5. Jablonski, D. 2008. Jedovatí hadi Balkánu. Fauna. 19(16): 6-11. Balej, P. & D. Jablonski 2008. Sedm jedů Balkánu aneb potápěč je v písku. Outdoor X (4): 56-59. Jablonski, D. 2008. Za herpetofaunou Země orlů II. – Plazi. 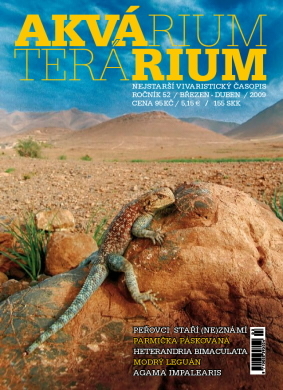 Akvárium Terárium 51(9/10): 50-55. Jablonski, D. 2008.Scink Trachylepis quinquetaeniata (Liechtenstein, 1823). Akvárium Terárium. 51 (7/8): 66-67. Jablonski, D. 2008. Za herpetofaunou Země orlů I. – Obojživelníci. Akvárium Terárium. 51 (5/6): 56-61. Jablonski, D. 2007. Zmije Vipera aspis francisciredi a její chov a odchov teráriu. Akvárium Terárium. 50(5/6): 48-54. Jablonski, D. 2007. Užovkovitý had Hydrodynastes gigas (Duméril, Bibron & Duméril, 1854). Akvárium Terárium. 50(7/8): 53. Jablonski, D. 2007. Bulharský Národní park Strandža z pohledu herpetologického. Akvárium Terárium. 50(9/10): 50–56. Jablonski, D. 2007. Za krátkonožkou Ablepharus kitaibelii (Bibron & Bory ST– Vincent, 1833). Fauna. 18(22): 6-10. Jablonski, D. 2007. TSP za nejen přírodními šperky Albánie, Srbska, Makedonie a Černé Hory - 10.6. - 23.6. 2007. Informace TSP. 3: 5-6. Donát, M. & D. Jablonski. 2007. O naší kudlance. Fauna. 18(19): 8-11. Jablonski, D. 2006. Pseudopus apodus (Pallas, 1775) v přírodě a v teráriu. Fauna. 17(4): 14-17. Jablonski, D. 2006. Národní park Paklenica, herpetologický klenot Chorvatska. Akvárium Terárium. 49(3): 53-61. Jablonski, D. 2005. Evropské bojgy. Fauna. 16(18): 6-9. Jablonski, D. 2005. Evropské bojgy. Fauna. 16(17): 10-12. Jablonski, D. 2004. Balkánské štíhlovky. Fauna. 15(22): 7-10. Jablonski, D. 2013. Mitochondriální diverzita a haplotypová distribuce slepýšů rodu Anguis (Reptilia, Anguidae) na Balkánském poloostrově (Mitochondrial diversity and haplotype distribution of the slow worms of the genus Anguis (Reptilia, Anguidae) in the Balkan Peninsula). Unpublished MSc. Thesis, Comenius University in Bratislava, Bratislava. 120 p. (in Czech with English abstract). Jablonski, D. 2011. Komparativní fylogeografie živočichů Balkánského poloostrova (Comparative phylogeography of the fauna of the Balkan Peninsula). Unpublished BSc. Thesis, Comenius University in Bratislava, Bratislava. 82 p. (in Czech with English abstract). Ondraszek, B., B. Křenková, D. Křenek, J. Czernek, B. Lojkásek & D. Jablonski. 2007. Olza. Beskydy, Český Těšín. Fahrbach, M. & U. Gerlach. 2018. The genus Triturus. Edition Chimaira, Frankfurt am Main, 550 pp. Majský, J. & T. Derka. 2016. 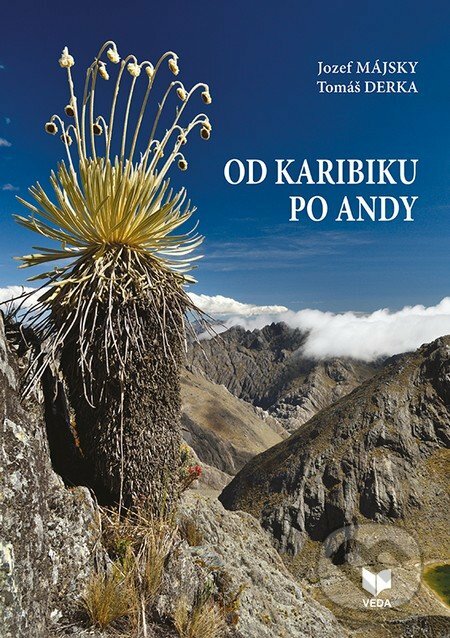 Od Karibiku po Andy. VEDA, Bratislava, 408 pp. Werner, Y. 2016. 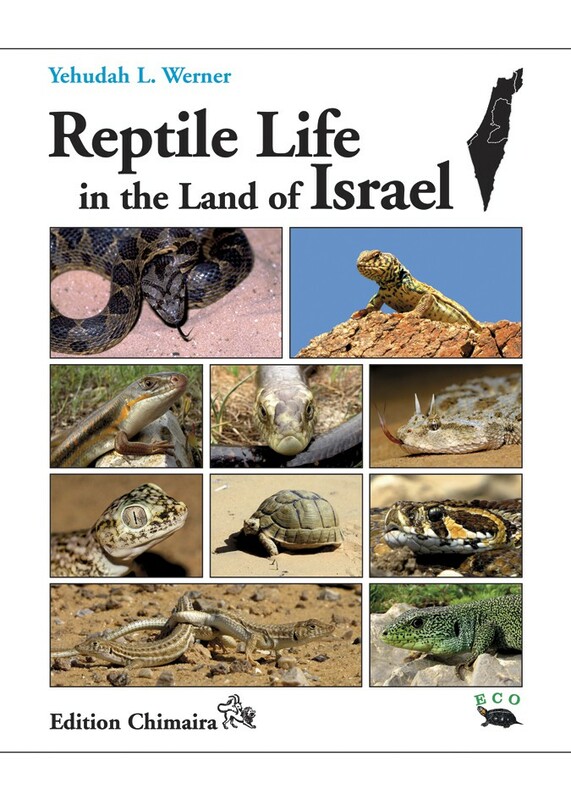 Reptile life in the land of Israel. Edition Chimaira, Frankfurt am Main, 494 pp. Najbar, B., E. Szuszkiewicz & A. Najbar. 2015. Żmija zygzakowata. Uniwersytet Zielonogórski, Zielona Góra. 187 pp. Russell F.E. & J.R. Campbell. 2015. 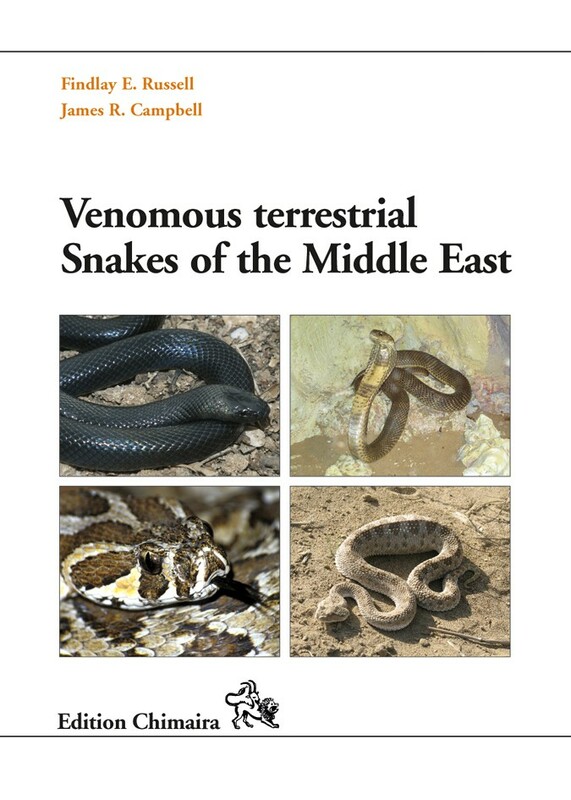 Venomous terrestrial Snakes of the Middle East. Edition Chimaira, Frankfurt am Main, 186 pp. Maštera, J., V. Zavadil & J. Dvořák. 2015. Vajíčka a larvy obojživelníků České republiky. Academia, Praha, 180 pp. Shupe, S. 2013. Venomous Snakes of the World: A Manual for Use by U.S. Amphibious Forces. Skyhorse Publishing; 1 edition. New York. 336 pp. Kepel, A. & B. Kala. 2013. Hodowla zwierząt chronionych - regulacje prawne. Polskie Towarzystwo Ochrony Przyrody "Salamandra", Poznań. 116 pp. Najbar, B. & B. Borczyk. 2012. Zaskroniec zwyczajny: Biologia i ochrona. Uniwersytet Zielonogórski, Zielona Góra. 169 pp. Vetter, H. 2011. Turtles of the World, Vol. 1, Europe, Africa and Western Asia. Edition Chimaira, Frankfurt am Main. 152 pp. Staniszewski, M. 2011. 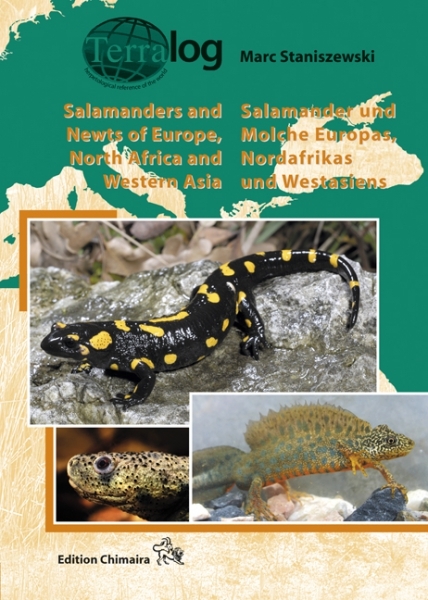 Salamanders and Newts of Europe, North Africa and Western Asia. Edition Chimaira, Frankfurt am Main. 160 pp. Weinstein, S.A., D.A. Warrell, J. White & D.E. Keyler. 2011. 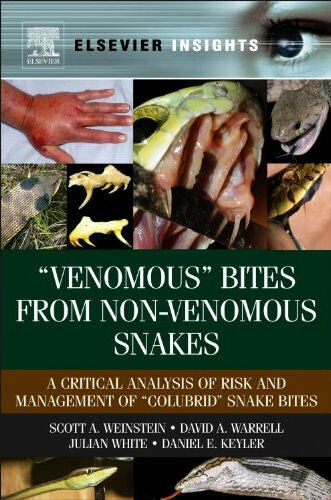 "Venomous" Bites from Non-Venomous Snakes: A Critical Analysis of Risk and Management of "Colubrid" Snake Bites. Elsevier, Maryland. 364 pp. Stojanov, A.J., N. Tzankov & B. Naumov. 2011. 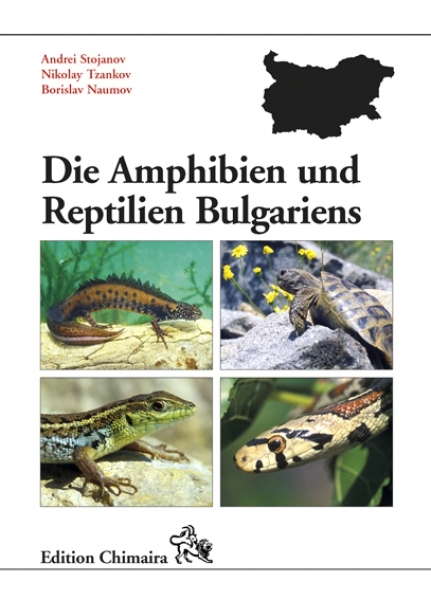 Die Amphibien und Reptilien Bulgariens. Edition Chimaira, Frankfurt am Main. 582 pp. Phelps, T. 2010. Old World Vipers - A Natural History of the Azemiopinae, and Viperinae. Edition Chimaira, Frankfurt am Main. 557 pp. David, P. & G. Vogel. 2010. Venomous Snakes of Europe, Northern, Central and Western Asia. Edition Chimaira, Frankfurt am Main. 160 pp. Zwach, I. 2009. Obojžívelnící a plazi České republiky. GRADA Publishing, Praha. 496 pp. Anděra, M. 2008. Národní parky Evropy. Slovart, Praha. 944 pp.